C'EST NOEL, Paris & Normandie — Allo Maman, What's Cooking?! This is the best season of the year for eating, spending time with friends and dressing up some beautiful tables. 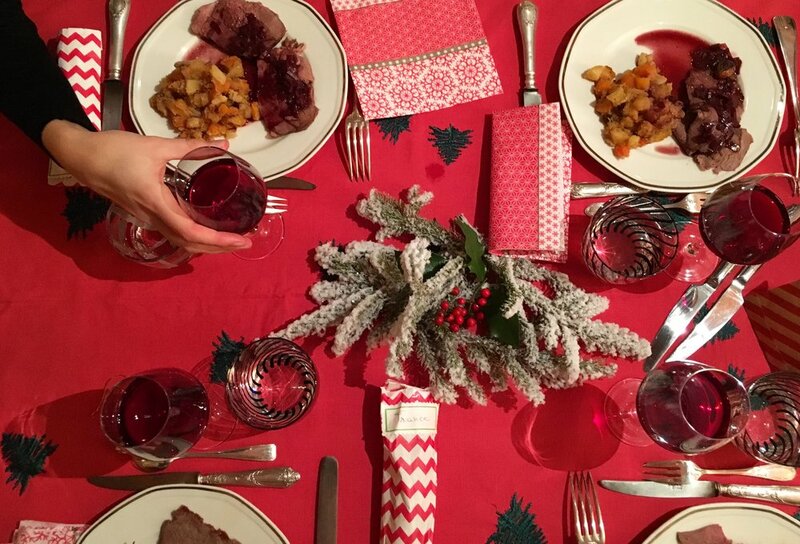 Here are a few Maman dressed this year: from a fancy dinner in the city to a glutinous feast in the country and Christmas morning's breakfast. Love, Maman and France. Note: the cute little ones on the pictures are my nieces - my first sister's daughters who live in London and who were visiting for the holidays.